Amazing job Houston! This year, you brought us a record breaking 5,931 pounds of holiday string lights that we were able to recycle! Since we started accepting lights in 2016, you have helped us recycle a total of 18,757 pounds of lights – that’s the same weight as two female Asian elephants! By recycling your holiday lights you are keeping them out of landfills. Less space needed for landfills means more room exists for animals – animals like bobcats, deer, and the Texas State Small Mammal, the armadillo. Some species like bobcats need a lot of space for activities like hunting. A single female bobcat’s home range covers close to 3,200 acres! The size of an average landfill? Around 600 acres. In a city growing as quickly as ours it is always important to remember that even the smallest of actions can make a huge difference. 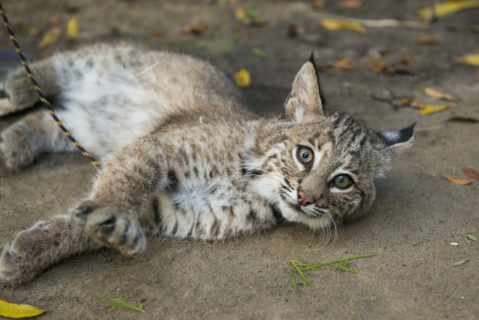 Bobcats are surprisingly good at living near people, but the more open space we can leave for them, the more we help them avoid potential threats like collisions with vehicles. The Zoo is dedicated to making sure that we recycle as much as we can to ensure waste does not end up in landfills. 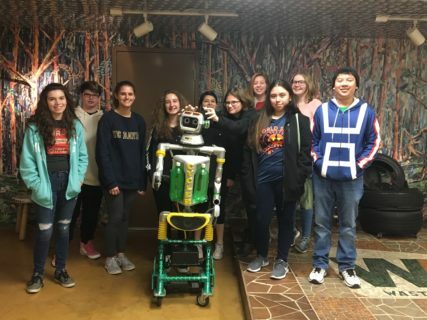 Teen volunteers from Zoo Crew and our Grounds team have even gone out to tour local recycling centers to learn more about the recycling process and brainstorm ways for us to further reduce our waste, protecting wildlife and wild places. We are so grateful to everyone who recycled their lights this season and can’t wait to see what our community is able to accomplish during the next holiday season. Thank you for helping us save animals in the wild!